Language learning has come a long way with the advent of quality language learning apps. No longer are heavy, unwieldy books necessary – apps allow you to practice your language skills no matter where you are. In this list of the best language learning apps, we have gathered the top-rated (and often free!) language learning apps to help you learn a new language, even while on the go. For even more language learning practice, check out our list of the best language learning software. 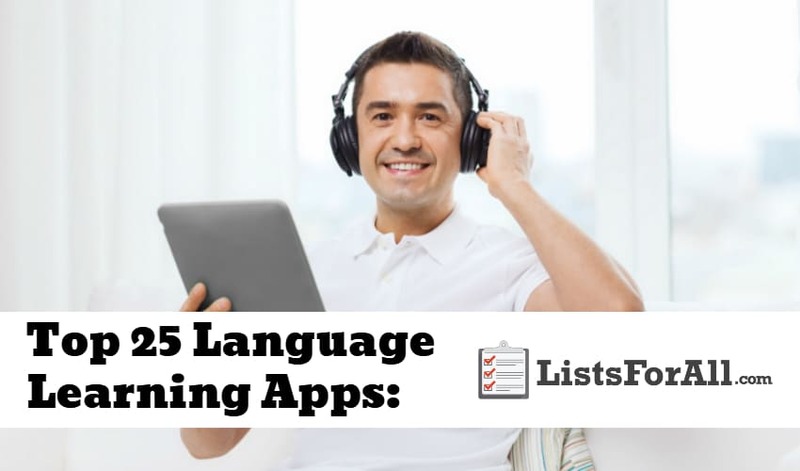 And for maximum benefit, language learners should download an app off of this list and then use one of the language learning software detailed. Good luck in your language learning! 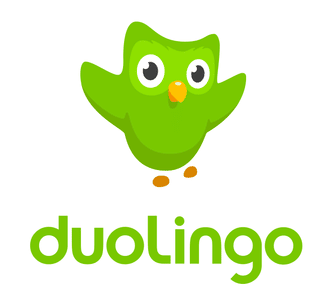 A favorite among many, Duolingo is a free app that is well designed. Basic drills will help you learn words, phrases, and grammar. Supported languages include English, French, German, Italian, Spanish, and more. Another cool language learning app that is owned by Duolingo is Tinycards. With this app, you will be able to use flashcards to help learn and master new words. So along with Duolingo, make sure to try out the TinyCards app as well. A non-profit app, Speechling offers a ton of excellent free language learning tools. The app was developed by a Google engineer, so you know that the tools are going to be top of the line. And, if you are looking for even more language help than the free resources, they also offer an Unlimited Coach option for a small fee as well. So whether you are looking for free language learning resources or some expert help, Speechling will have you covered. 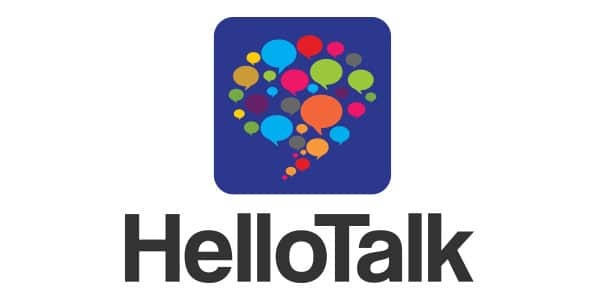 If drills and prescribed content are not your thing, Hello Talk is a great language learning alternative. In this app, users choose a language (over 100 are available!) and then they are put in touch with a native speaker of that language. Think of the app as a language exchange program crossed with social media. You most likely already use the YouTube app, but did you know that you can take advantage of it to help you learn a new language? There are tons of different YouTube channels that are hosted by native language speakers teaching a specific language. So, if learning from watching videos is a great way for you to learn, make sure that you check out YouTube for some awesome free language learning content. If you make up a mnemonic for everything, Memrise is going to be right up your alley. This free app utilizes mnemonics and quizzes to help transfer new words into long-term memory. Audio and video are also featured, making the app a fun way to learn a new language. Maybe not the most typical language learning app when it comes to doing a course or different language exercises, but Google Translate should not be overlooked. Google Translate offers features like; text translate (103 different languages with internet and 59 without internet), instant camera translation that allows you to translate text in images, and the ability to translate bilingual conversations on the fly. As you are learning a new language, Google Translate will be there to help you fill in the gaps. Also, it is free, so give it a try and see if it helps you out. The Mondly app is going to allow you access to free language learning resources that cover 33 different languages. You will get access to free daily lessons and can even take classes specialized to your profession. This will help you to learn the words that you need most in professions like being a healthcare agent, flight attendant, hotel receptionist and more. These modules will help you break down language barriers for good. The Mango app is going to offer a wealth of resources when it comes to learning a new language. Covering 70 different languages, some of the unique features are going to include; linguist-approved courses, practical real-world conversations, downloadable lessons, 24/7 support, and much more. To access all of Mango’s features, there is a monthly or yearly paid subscription required. However, if you have a local library card, there is a good chance that through your local library you can get complete access to the Mango app for free. The Dictionary Linguee app is designed to help you “find reliable translations in the shortest time, even when you’re offline.” As you are learning a new language and come across different words that you don’t recognize or quite remember, the Dictionary Linguee app is going to allow you to be able to quickly look it up. This is a free resource that works both great online and offline (must be downloaded). 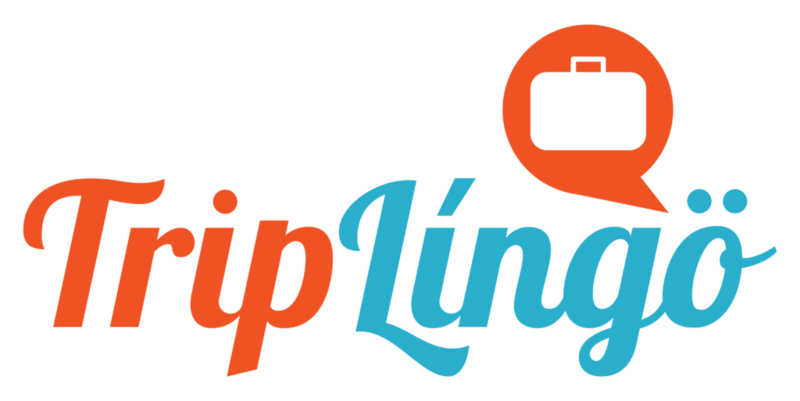 With both a free version and premium version of the app, TripLingo is designed for travelers as they visit other language speaking cultures. Whether you are traveling or not though, this can be a great language learning tool. With a bunch of impressive language learning features like recorded audio files, an image translator, a 10,000-word offline dictionary, slang words, and much more, TripLingo is a great option when it comes to choosing a language learning app. Test your language vocabulary with AccelaStudy’s intuitive flashcards and improve your language learning. This app is excellent for learning and memorizing different words and offers a bunch of great features. Some of the highlights include audio from native speakers, statistics, a dictionary, and flashcards for more natural learning and memorization. 24/7 Tutor is going to allow you to do just that, work on your language learning anytime day or night. You will get access to audio by native speakers, entertaining language learning games, different multiple choice quizzes and much more. With 24/7 Tutor you will be learning your next language in no time flat. This is a unique take on a language learning app in that it is going to allow you to connect and interact with other people through the HiNative app. The app will allow you to be able to “ask questions, get answers, and connect with native speakers from over 170 different countries.” Some of the features include audio uploads to help check pronunciation, suggestions on traveling, and much more. If you are serious about learning a new language, HiNative is going to be worth checking out. The more fun learning is, the more you likely you are to be engaged and will want to learn. 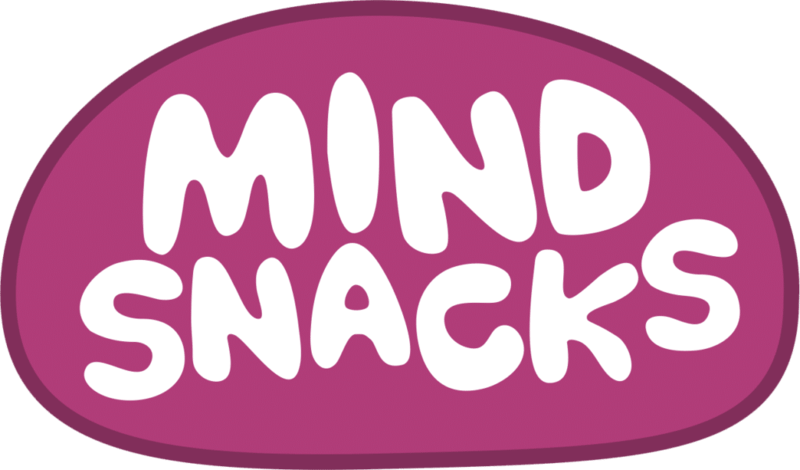 MindSnacks takes this approach with its app and is going to do a great job of providing a fun learning environment for you. The learning system was designed by experts and will allow you to track your progress as you go. Be careful though; these learning games are addicting! Not specifically just a language learning app, the AnikApp is going to use, “artificial intelligence to maximize the amount of learning you get done in each study session.” The app is powerful but also easy to use. It offers features like; a dashboard that shows your progress, text-to-speech that reads parts of your cards in your native language, and other great features that will help you quickly excel at learning your next language. If you have considered learning a new language, you most likely have already heard of Rosetta Stone as a language learning program, but they also offer an iPhone and Android app that provides even more great features. With multiple different awards in the last years, Rosetta Stone was a natural choice for this list of the best language learning apps. With features like TruAccent – one of the world’s best speech recognition technologies, their immersion method that allows for smooth transitions between words, phrases, and conversations, and downloadable lessons, it is easy to see why. The Beelinguapp is going to allow you to listen to an audiobook and read along as you go. Also, you will be able to read in two languages simultaneously side by side. This learning style highlights both sight and sound and will help you to learn at a very quick pace, and all you need to do is read along and learn as you go. Users from all around the world are using this simple learning technique and mastering new languages. If you enjoy a game aspect when it comes to learning, Clozemaster is going to be an excellent option for you. With games like plug the missing word into the sentence, text to speech, and the ability to track your progress, you will be learning a new language at a pace like never before. So get ready to enjoy learning again with the Clozemaster app. Want to practice speaking the new language you are learning? Well, give the Tandem app a try. 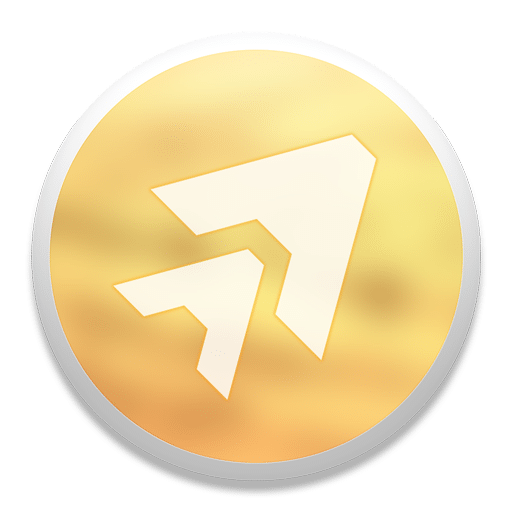 Tandem will connect you with different users from all around the world where you will be able to speak in the language that you are learning. This type of interaction is going to be invaluable to you when it comes to mastering a new language. Along with all these great features, they also offer one on one video chat lessons and games to help you improve your language learning as well. Busuu features vocabulary and grammar lessons, audio dialogues and interactive tests. 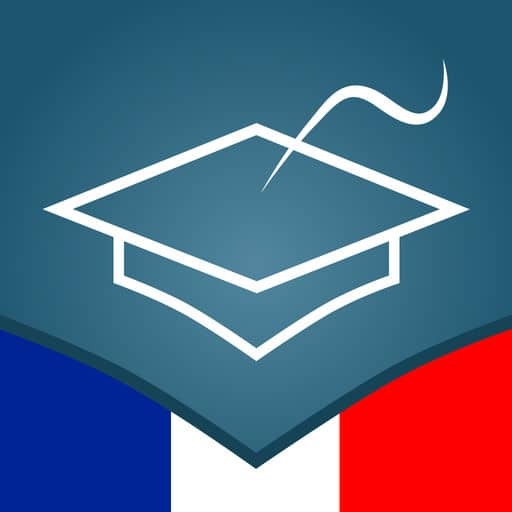 The app offers the option of having native speakers correct submitted practice exercises and also provides a variety of subscription options. Most of the time you are learning a language for a specific purpose, business, travel, etc. 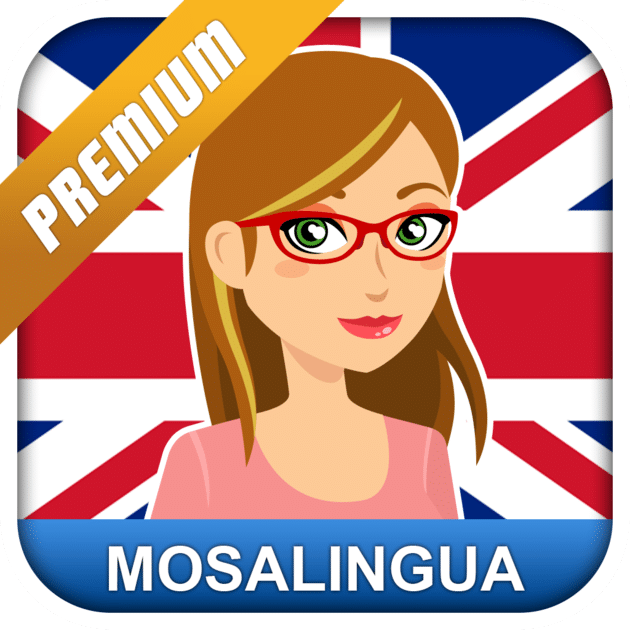 With Mosalingua you will be able to let the app know before you start what your primary goal is for learning a new language. From there the app will be able to cater courses more specific for your reasons for learning. They also have several cool learning tools that will help you to stay engaged as you are learning as well. If you like to have tangible goals and benchmarks as you are learning, Babbel is going to be a great language learning app for you. The program features an audio component and has users complete and repeat new phrases. The Brainscape App is not just for language learning, but it has received favorable reviews from language learners. Users go through sets of flashcards to learn their desired language, and the app also offers users the ability to create and share their flashcards. Using engaging, real-world videos with subtitled captions, FluentU is excellent for users who don’t want a traditional, scripted approach to language learning. FluentU’s captions are also interactive, allowing users to click on a word to see an in-context definition. Open Language offers an in-depth language learning program that centers around a dialogue between two hosts. After listening to the audio, a transcript of the conversation is provided, as well as a vocabulary summary, expansion exercises, and a grammar section. Whether you are interested in fluently learning a new language or want to pick up a few words for an upcoming trip, this list of the best language learning apps is going to provide you some great options, and some of them are even free! If you are learning a new language to do some traveling, make sure that you check out our list of the best travel sites to help you save money, time and energy. Also, make sure to visit our list of the best travel accessories, it will have all the necessities for the rest of your trip. Let us know how your language learning experience went below in the comments.